Eventually, Clash of Clans revoked this and made it so only level 8+ walls could be upgraded with elixir. 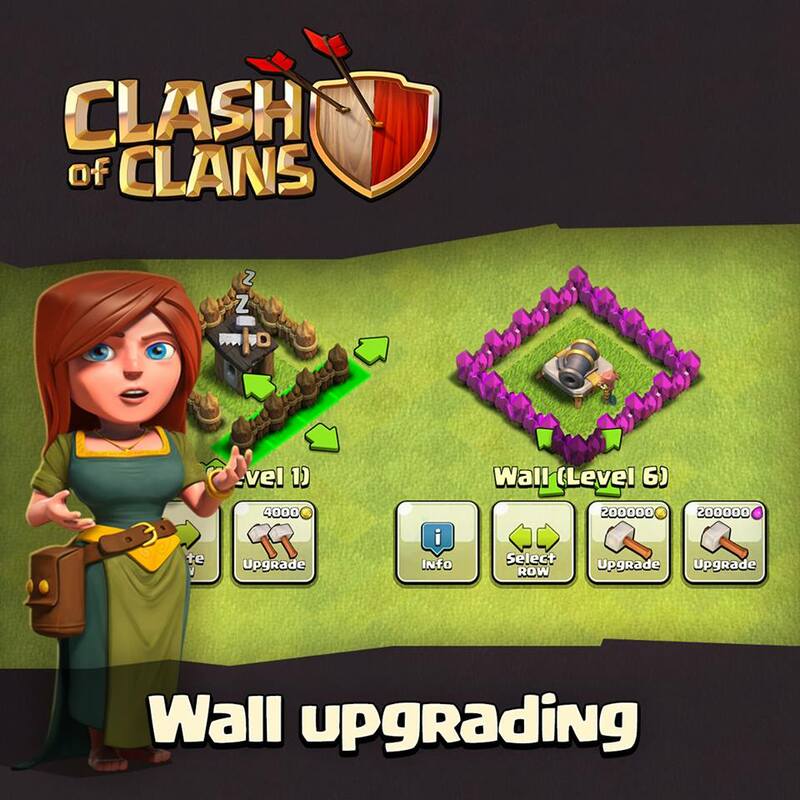 However, in a brief period after the April update, walls level 6+ were once again available to be upgraded with elixir. Now obviously this is a huge update to the game and it wasn’t even announced through sneak peeks. So obviously, this was a bit strange and sure enough Clash of Clans issued their first maintenance break fixing this bug but not before several TH7 and TH8s got a few walls upgraded though! Anyways this was the first of the maintenance breaks after the April 2015 update. 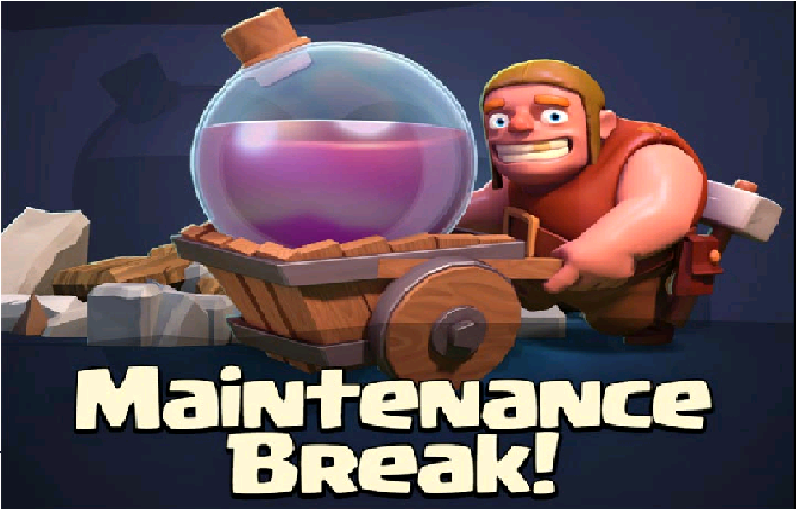 So then again about 15-16 hours ago, Clash of Clans underwent yet another maintenance break. This one they didn’t say why they had the maintenance break, but more than likely it was to fix some minor glitches. I haven’t seen anything in game that they have changed. This one was a bit strange. Clash of Clans said that it was a “optional update”, not a maintenance break. It updates in nearly a second, so it didn’t introduce any new changes into the game. Once again, it probably just fixed some common bugs and glitches. A few people have told me that the new walls were glitching out and not looking smooth. So anyways, we know this April update isn’t running too smoothly due to the numerous maintenance breaks the game has undergone. Hopefully, they can fix up all the bugs soon! ← Clash of Clans Hack iMod Ended with April Update!